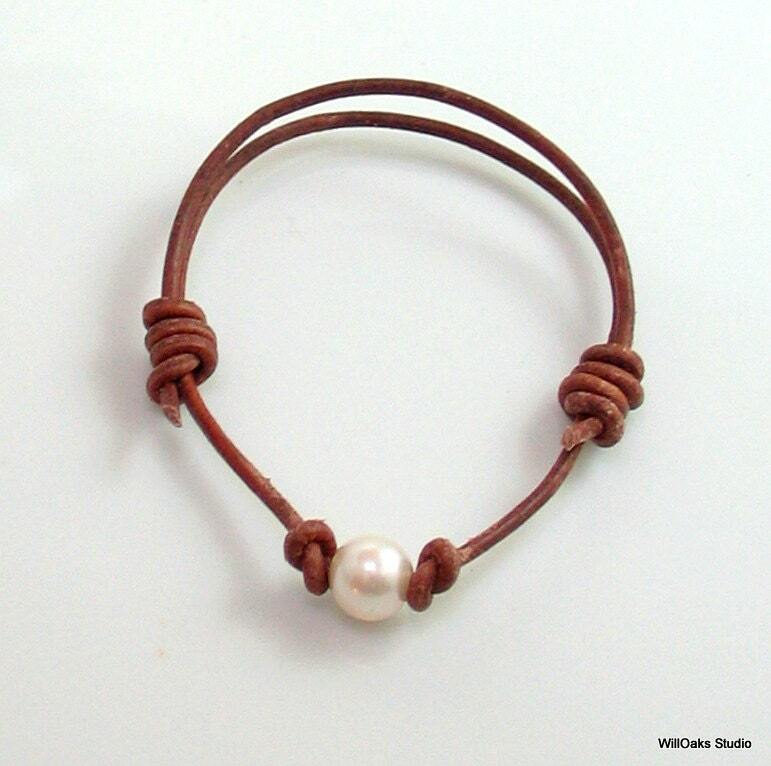 A beautiful freshwater pearl is captured with knotted leather to create a minimalist cuff. 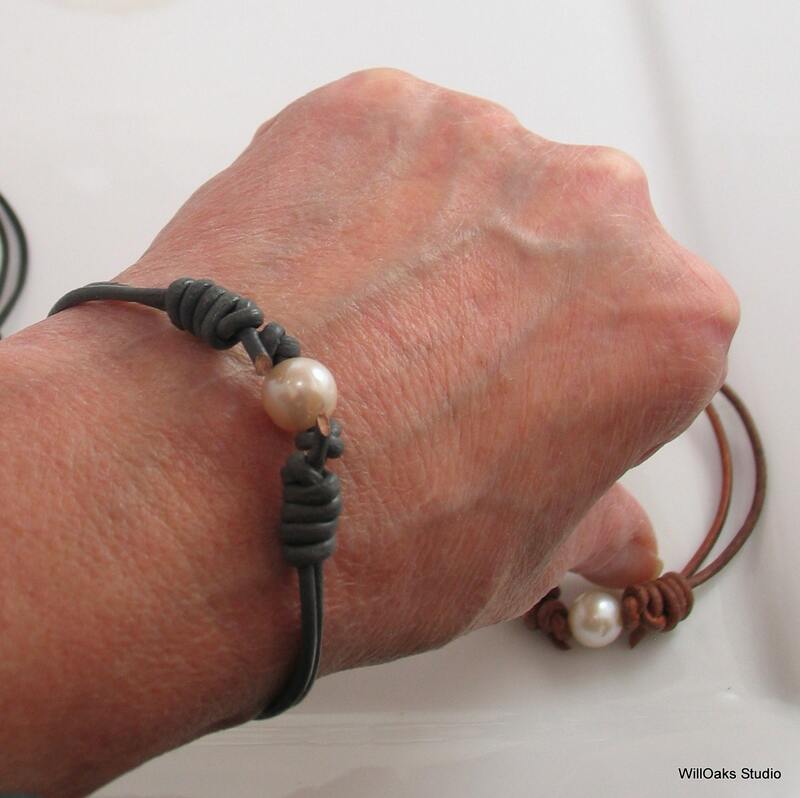 Size is adjusted with sliding knots-they slide open to put the bracelet on, then slide towards the pearl to tighten as much as desired. 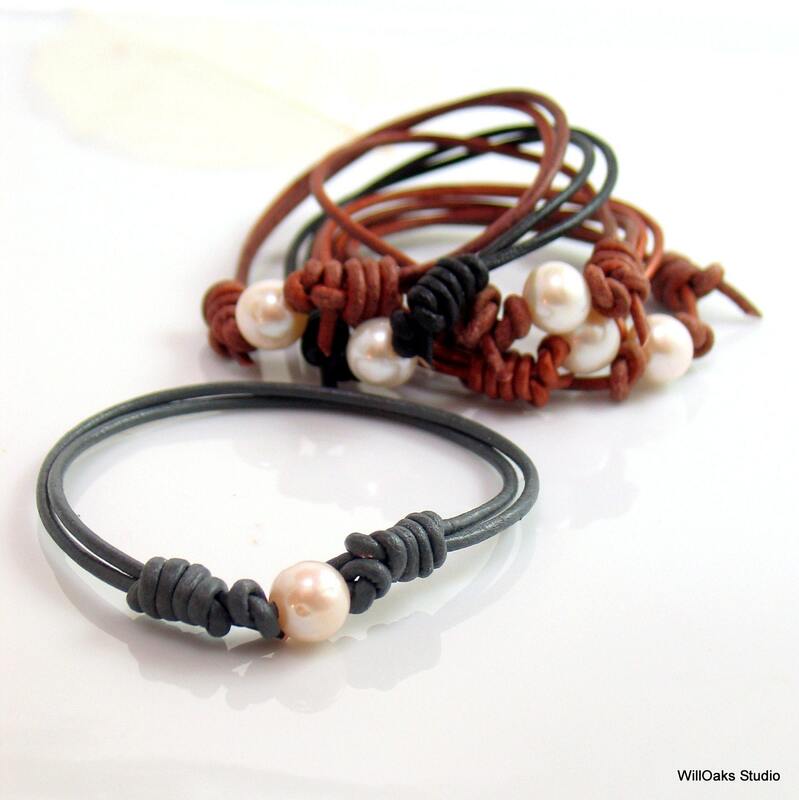 The lustrous white pearls are 8 to 9 mm and the leather cord, available in 4 colors, is 2 mm wide. 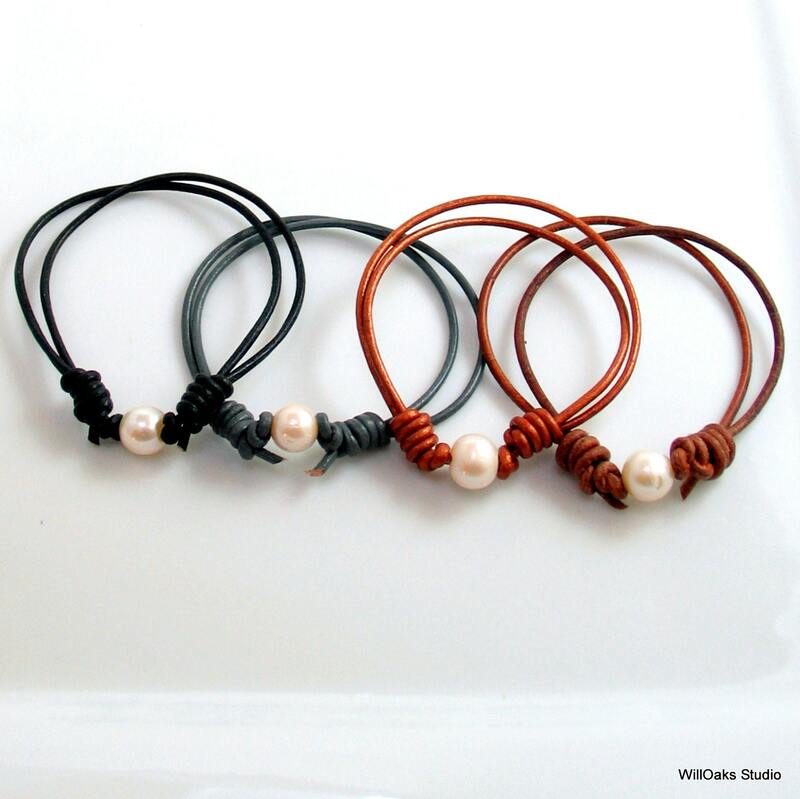 Your choice of black, gray, brown natural, or copper metallic leather colors with creamy white lustrous pearls. 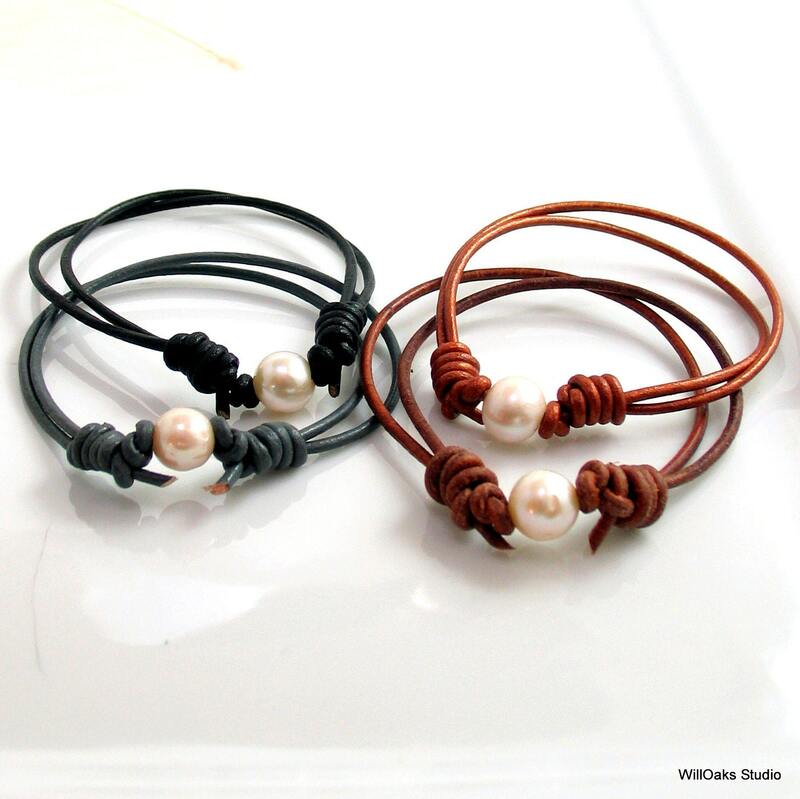 The SMALLEST size, when the knots are closest to the pearl, is also chosen as all bracelets can be worn larger. Comes to you in a small velvet pouch, mailed in a bubble lined envelope. So easy to wear and you can wet the leather to get it to conform to your wrist so it fits like a glove. Put it on & leave it on!